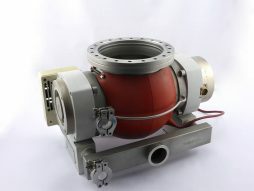 Pfeiffer TMU-261 turbomolecular pump with DN100CF flange. CompactTurbo series. Currtely fitted with TC100 controller. 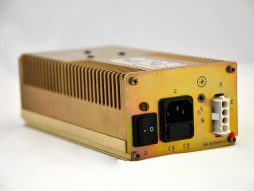 Also available with TC600 controller. Pfeiffer Vacuum TMU521P Turbo vacuum pump with TC600 controller. 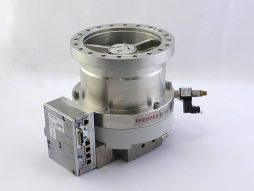 High vacuum flange is DN160ISO-K. The Pfeiffer TMU 521 with the TC 600 form a complete unit. Water cooling or air cooling is required. 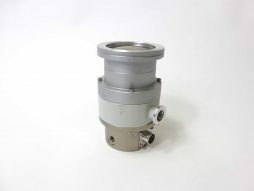 The pump has a wear free permanent magnetic bearing on the high vacuum side and an oil circulatory lubricated ball bearing with ceramic balls on the fore-vacuum side. Pump is fully factory refurbished with original OEM parts and warranty. Equipped with DN40KF foreline flange. 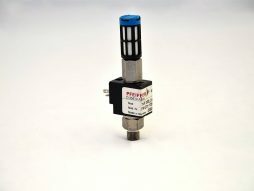 The pump can be used for various general-purpose high vacuum applications. Pump is fully refurbished and offers as new performance.